The world’s smallest Ultra HD broadcast deck with professional 10 bit recording and playback, dual SD/UHS-II card recorders, FTP media upload and more. 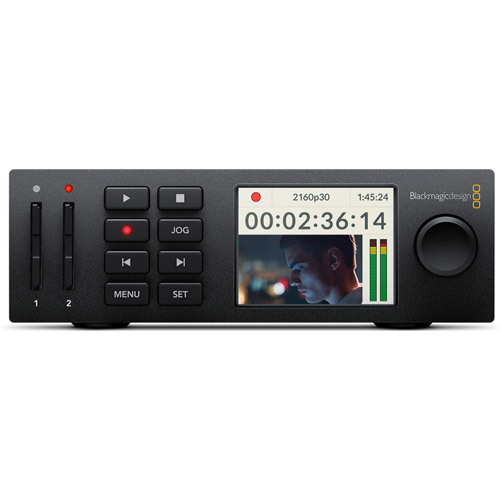 Miniaturized broadcast deck with unlimited duration recording using dual SD card and UHS-II card recorders in all SD, HD and Ultra HD formats up to 2160p30. HyperDeck Studio Mini is a miniaturized broadcast deck that’s so compact and portable you can use it anywhere. Even at this incredibly tiny size, you get a professional deck that records and plays back broadcast quality 10-bit video as ProRes files on commonly available SD and UHS-II cards. It’s packed with features like 6G-SDI for working with all formats up to 2160p30, HDMI 2.0 for monitoring, dual SD card slots for non-stop recording and a reference output with built in sync generator that lets you daisy chain and synchronize multiple decks together. The Dual Link 6G-SDI out can even be used to playback 720 and 1080 HD 4:4:4:4 files to separate fill and key outputs. HyperDeck Studio Mini includes industry standard RS-422 deck control, a built in power supply and ethernet with PoE+ for custom control solutions and uploading media via FTP. Broadcast quality recording and playback you can take anywhere. HyperDeck Studio Mini is perfect for use as a master program recorder during live multi camera production, or as an ISO recorder from your cameras so you can edit the final program later. HyperDeck Studio Mini is also a powerful clip player for playback directly to air, or even as a client preview deck in a conference room with a large HDMI television. Because you can lock and sync the playback of multiple units together, it’s ideal for high resolution digital signs that use multiple screens. The separate fill and key SDI outputs let you use it to play animated broadcast graphics with an alpha channel for keying over live video with a live production switcher, all in real time. Incredibly small design with powerful full size deck features. 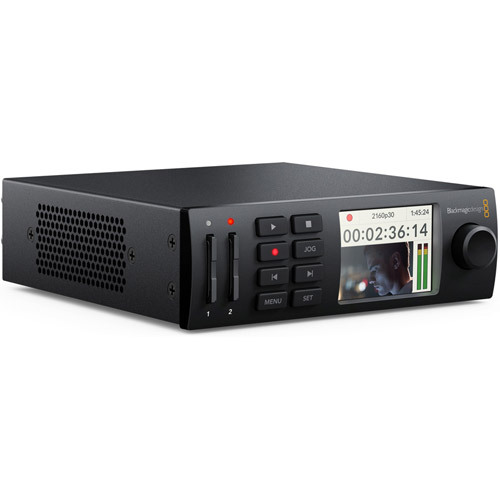 HyperDeck Studio Mini features dual SD card recorders, professional connections, ethernet, built in power and much more, all miniaturized into an elegant 5.5 inch wide compact and modular design. You can rack mount it using the optional Teranex Mini Rack Shelf and combine it additional modules to create a customized deck. For example, if you need to work with analog material, you can combine it with a Teranex Mini Analog to SDI converter on the input and a Teranex Mini SDI to Analog converter on the output to create an analog deck. To create a deck with eight mirrored outputs, use it with a Teranex Mini SDI Distribution 12G. If you're not using it in a rack, HyperDeck Studio Mini’s elegant design also looks great when used on the desktop. It’s the world’s most sd-card professional deck. 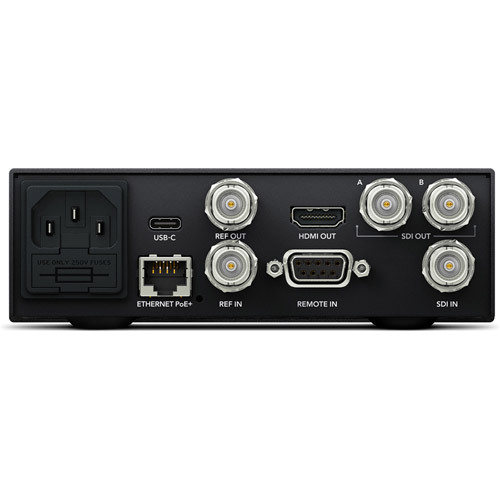 HyperDeck Studio Mini features multi rate 6G-SDI connections so you can connect it to virtually any camera, monitor or SDI router and work with all SD, HD and Ultra HD formats up to 2160p30. You get an SDI input, reference input and two SDI outputs that can be used as dual link or fill and key outputs. The high quality HDMI connection lets you play back to big screen televisions, digital projectors and more. In addition, there’s an RS-422 deck control connection, ethernet for uploading files to it via FTP and a built in 110-240V AC power supply. There’s even an SDK and easy to use ethernet protocol documented in the instruction manual that lets you integrate HyperDeck Studio Mini into your custom systems and software. Easy to use, no training required. HyperDeck Studio Mini features traditional deck style transport controls, including a jog button and shuttle wheel. The integrated high resolution LCD shows timecode and transport information, plus a full color thumbnail preview of the current clip in record or playback. It also displays information about each card’s recording status, along with video format, frame rate information and audio levels, all on the same display. The combination of familiar VTR style controls and the built in LCD screen makes it fast and easy to use. The next generation of broadcast media. SD Cards are commonly available, inexpensive and extremely reliable, which makes them perfect for use as professional broadcast media storage. Best of all, they’re solid state so unlike disk or tape based systems, you get instantaneous transport ballistics so you never have to wait for media to cue. That means you can play back any frame from any card at any time. HyperDeck Studio Mini records to both regular SD cards and high performance UHS-II cards. You can use standard SD cards for SD and HD video, and UHS-II cards when you want to record in Ultra HD. In addition, SD cards don’t deteriorate over time and are incredibly tiny, so you can create an entire archival library of your content that takes up a fraction of the space required by older types of media. Swap out full cards while recording. HyperDeck Studio Mini features dual media slots for non stop recording. When the recording card becomes full, recording automatically continues onto the next card. That means you'll never have to worry about missing an important shot. That’s perfect when you’re recording at longer live events because the cards are also hot swappable, so you can swap out a full card for an empty one while recording continues in the other slot. Each slot has an indicator light that changes color to show status so you’ll instantly know which card is in use. Both recorders use individual internal PCB’s that can be replaced if the slot ever becomes worn out from heavy use. Plus, the second slot is perfect for redundancy so you can get out of trouble in the case of a fault. Record and play industry standard ProRes files. 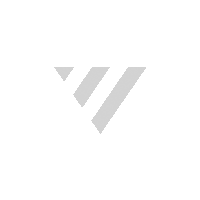 HyperDeck Studio Mini records video as standard ProRes files, which is one of the most widely accepted professional video file formats in the world. You get broadcast quality 10-bit YUV or 10-bit RGB recording in all formats up to 2160p30, all recorded onto ExFAT or HFS+ formatted media cards. Plus, the ProRes files are compatible with software such as DaVinci Resolve, Final Cut Pro X and more, so this means you can simply insert the card into your computer and start editing, all without having to convert the files. HyperDeck Studio Mini works with a variety of ProRes formats, including high end ProRes 4:4:4:4 in HD which supports both image and alpha channels. That means you can you output animated graphics with transparency via the fill and key SDI connections, making HyperDeck Studio Mini perfect for playing broadcast graphics out to a live production switcher for keying over live video. Record files that are ready for editing and grading. HyperDeck Studio Mini records files that are compatible with virtually all post production software. If you are working with popular editing software such as DaVinci Resolve, Final Cut Pro X, Adobe Premiere Pro or Avid Media Composer, you can start editing and color correcting without having to transcode or convert the files. Even motion graphics and visual effects artists using software like Fusion and After Effects can easily work with the files.